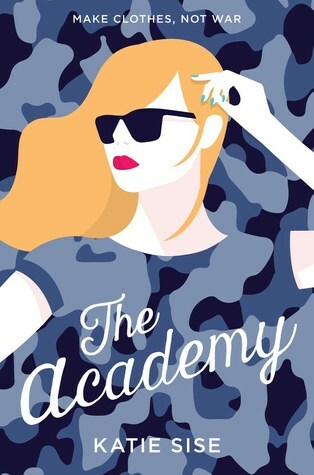 As she learns how to cope in about a million drills, a hundred different specialized classes, and is maybe even falling for super-hot and super-smart cadet Jack Wattson, can Frankie prove to everyone that being a fashionista doesn’t mean she can’t succeed? Frankie, who is a lifestyle blogger and die heart fashionista, but made some mistakes So her parents decided to send her military school as her life is so lacking discipline. Where she met Joni and Jack who made her life easy in military school. The story was cute and fuzzy, I really enjoyed reading it. The writing wasn’t perfect for me sometimes I got bored but that was for a short duration. Frankie is interesting as well as an annoying character, I was constantly rolling my eyes on her actions. But she was also fun to read. There were a few other characters, in the first half of the book they were mysterious. I can’t say the story was focused on romance it was well balanced, I loved the idea how author relates military and fashion. I really needed to read a cute and fun book. Perfect book for relaxation I guess! Sounds interesting. I like the tag line on the book cover. This book sounds really good! Great Review! Great review. Looks like a fun read. Never heard of this before but it looks and sounds cool! I think it’s too much tho, to send her to military school if she doesn’t want to, because we all know it’s really tough there. Sounds really interesting. My kind of book. It sounds intriguing but I’m not totally sold on it. Her parents sound as if they’re being a little unfair to push her towards a life she doesn’t want. Maybe I’m getting too deep into it from the blurb haha. This is a good review though, and who knows maybe I’ll pick a copy up someday! Wow – if this author makes fashion and military work together, there must be some skills! Thanks for the post! Great review! This seems to be a great book to read in between some heavy books. I really like the sound of this book. Love that cover too. Love a good fun book. Great review. Sounds perfect for when your looking for something light to read.